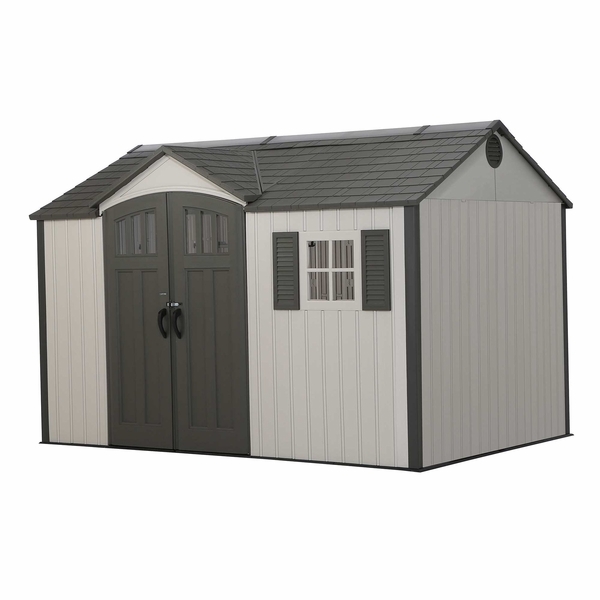 This Lifetime 12.5' x 8' Polyethylene Outdoor Storage Shed in Sand is an attractive and durable storage option for your outdoor storage needs. 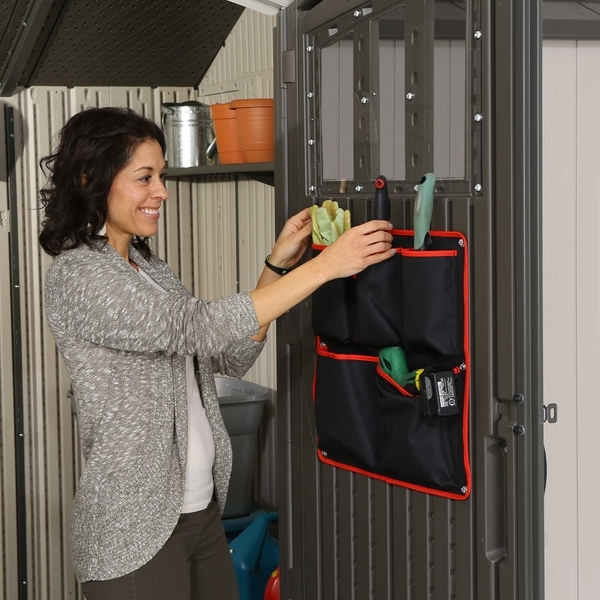 This Shed comes with two shelves, a tool pouch, a storage pouch, and six wall hooks to allow you to customize the storage to your specific needs. 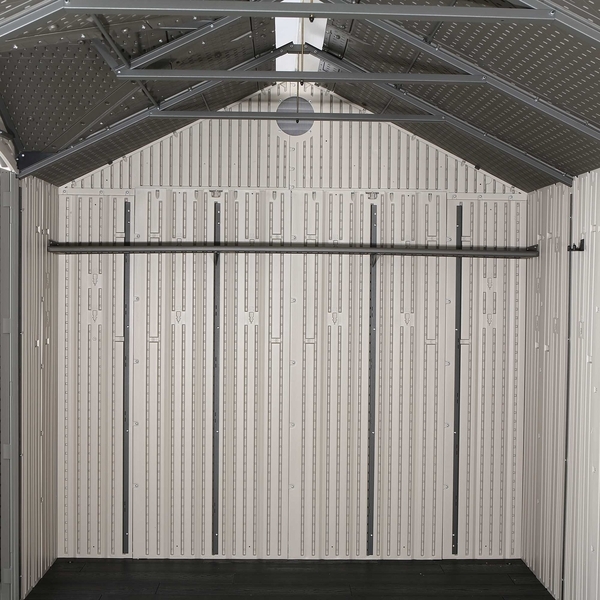 Steel reinforced walls, shelves, and roof provide durability for many weather conditions, allowing you sturdy storage solutions for your outdoor storage needs, and a padlockable latch on the doors offers security. This item comes with a 10 year manufacturers warranty. This unit is not fire retardant. 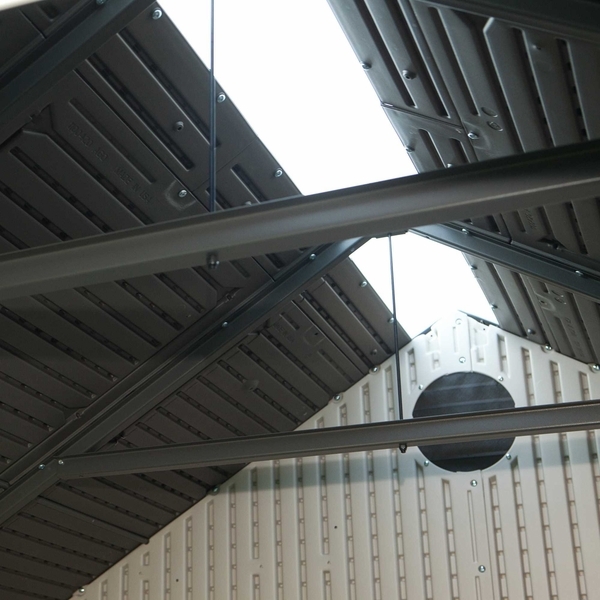 Per the manufacturer: "the shed is made of high-density polyethylene which is a plastic. If exposed to extreme heat it will melt." 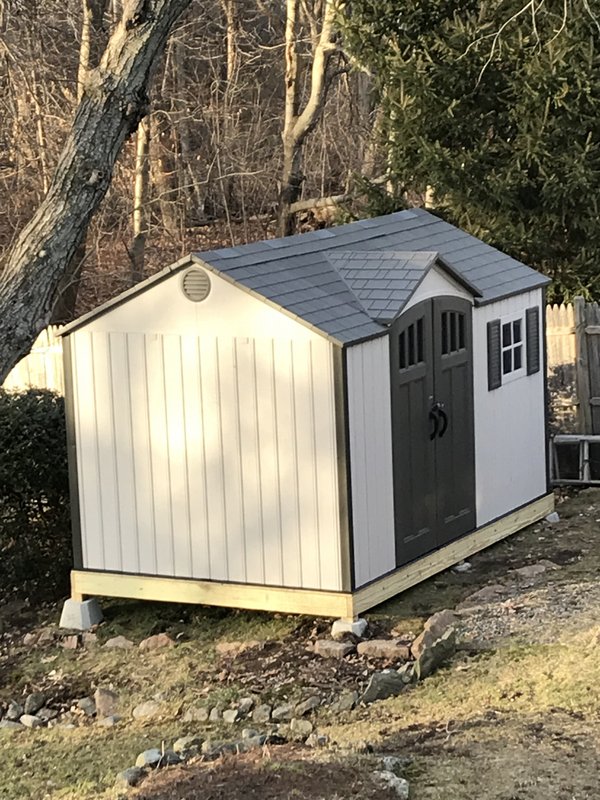 Is the wood provided in the shed kit? 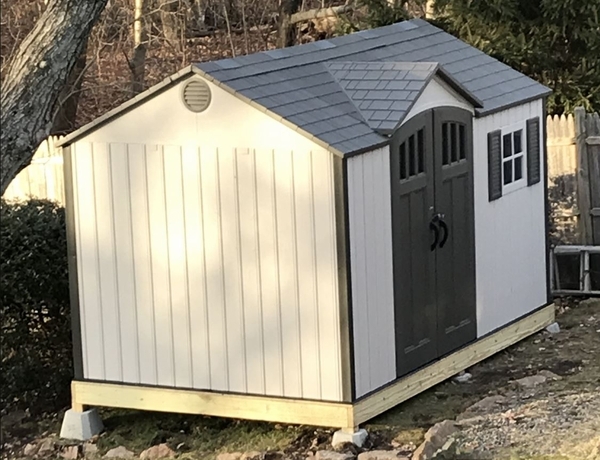 Is the wood the actual floor or just a foundation for the shed? 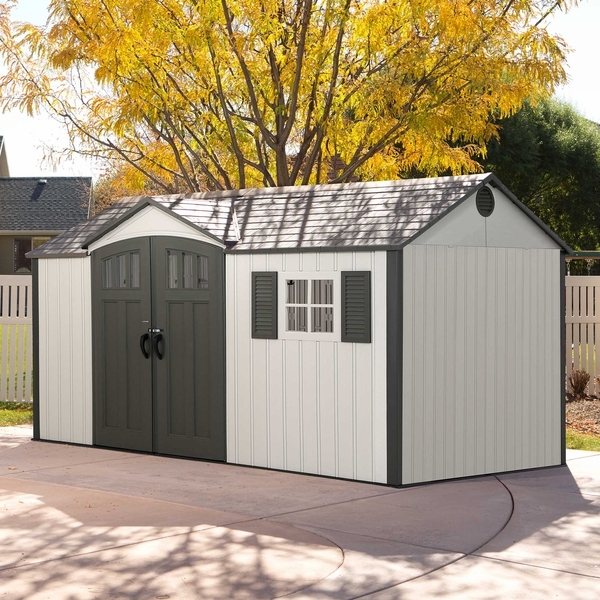 This shed is the best from the price to the workmanship. Very stylish and looks great in yard. Easy to follow instructions and best of all NO PARTS WERE MISSING OR DAMAGED. We recommended this company to all our friends. Quality product with few assembly challenges. 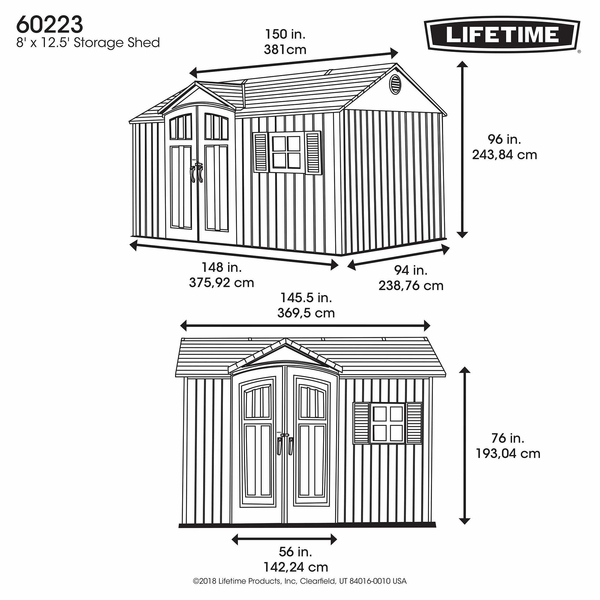 We purchased a 12 x 8 ft polyethylene Lifetime product outdoor shed. The quality of the material was excellent and it had a good mix of resin and metal parts. The connecting screws were also metal, so had strength. It took us 3 and 1/2 days to assemble with 2 people in summer heat (lots of breaks). This included building the foundation. Occasionally we needed to bring up the Lifetime product videos as the printed materials were a little incomplete. The videos were well made and we quickly understood what we needed to complete the section. We did have to make some modifications to one area, as the screws were not "catching" the plastic product, but my husband worked it out. It has not stormed here since we put it up, but I think it will survive the weather. Several other neighbors have similar sheds and they are in good shape after several years. I gave the product a 4, simply because of the one problem we had, but it truly is what I have wanted to own for a while and I think it will serve us well. ConsAssembly takes time and thought. Pieces could be marked better as to whether an item should face front or back. Put it together in one day, easy assembly with two people.